I recently joined Mozilla’s Outreachy program as an intern. If you haven’t heard of this program before, let me start by answering some basic questions. Outreachy is a program for folks from underrepresented groups. It aims to getting them more involved with open source through remote internships. Organizations like Mozilla, Wikimedia, Gnome, and Linux Kernel take part in the program. They hire interns to work on their projects. It’s kind of like Google Summer of Code, except that both organizations and corporate sponsors both help pay interns. Another major difference is that it happens twice a year. There are both summer and winter cohorts. Participation isn’t limited to just students like Google Summer of Code, either. Every intern works on a project for an organization under the supervision of a mentor. The duration of the program is three months. You can read the full details of the program here. I’m working for Mozilla on web-ext, a command line utility to help with the development of WebExtensions. WebExtensions are cross platform addons, the future of browser addons. They can run in browsers like Firefox, Chrome, and Opera with only minor changes. How did I get involved with Outreachy? My involvement with Outreachy has got a lot to do with how I started contributing to open source. I wrote all about this in a previous story. I had long known about both Outreachy and Google Summer of Code, and I’d always wanted to take part. But thought I wouldn’t stand a chance. I doubted why anyone would pay me to work on their project. I didn’t have a lot of prior experience. Nor could I prove that I had a decent level of expertise in the technologies I was working with. If you’re in the same boat, all I’d like to say to you is: stop. Don’t be so hard on yourself. It may surprise you to know how I actually applied and got selected for Outreachy. It might as well be labelled an accident. I had been contributing to the web-ext tool for about a month or so. I happened to ping one of the Outreachy interns from the summer cohort of 2016, Anjana Vakil, to ask for advice on how to prepare and apply for Outreachy. This was quite sometime before the organizations were announced, let alone projects. I wanted to start preparing as early as possible to maximize my chances of getting in. So I told her about my background and involvement with Mozilla. She told me if I had a project in mind that I’d like to work on during Outreachy, I shouldn’t hesitate in talking to the maintainers. I should definitely ask them if it’ll be a viable fit for Outreachy. I had been contributing to web-ext for a month or so by then while juggling my usual college and having a great time. After sitting on that thought for quite sometime, I finally mustered enough courage. I asked Kumar McMillan, my mentor, if web-ext could use some more help and time over a span of three months. And he seemed delighted by the idea! In the meanwhile, I continued contributing to web-ext. The next step was waiting for the announcement of the organizations and their projects. I spoke to my mentor and prioritized the tasks that were to be accomplished, then submitted an application. Then I just waited for the announcement of the results on the Outreachy page. And one day I looked there and saw my name. I had made it. What do you get out of Outreachy? This is the primary reason why I’d encourage anyone eligible to take part in Outreachy. The amount of learning involved is invaluable. You get to work with some of the smartest people out there on real world projects which people use. You learn valuable software engineering skills that you’ll use in your day to day job as a developer. As is often the case with people trying to contribute to OSS, you won’t get lost midway because of lack of help/direction. Your mentor is there to help you. You learn how to work with remote teams which are spread geographically over the world. Outreachy isn’t just limited to students and they expect to work full time for 40 hours/week. The money can serve as an incentive to folks who’re older looking for a career change or getting more involved with open source. Each intern gets $5,500 USD, and an extra $500 USD travel grant to use within a year of their internship period. Working on a real world project which is used by people gives a lot of confidence in your skills and your work as a developer. A lot of past interns from these programs who were complete newbies at the start of it have gone to help other newcomers get started with open source. Outreachy helps lay a foundation for your involvement in open source as it gives you credibility and experience. All Mozilla interns get LDAP credentials. This means you get a @mozilla.com e-mail address like all regular employees. You get to take part in team meetings and have access to pretty much everything. All interns get a laptop to keep. What you get varies from year to year. This year they gave a 15” Macbook Pro retina 2015 model to all the interns. 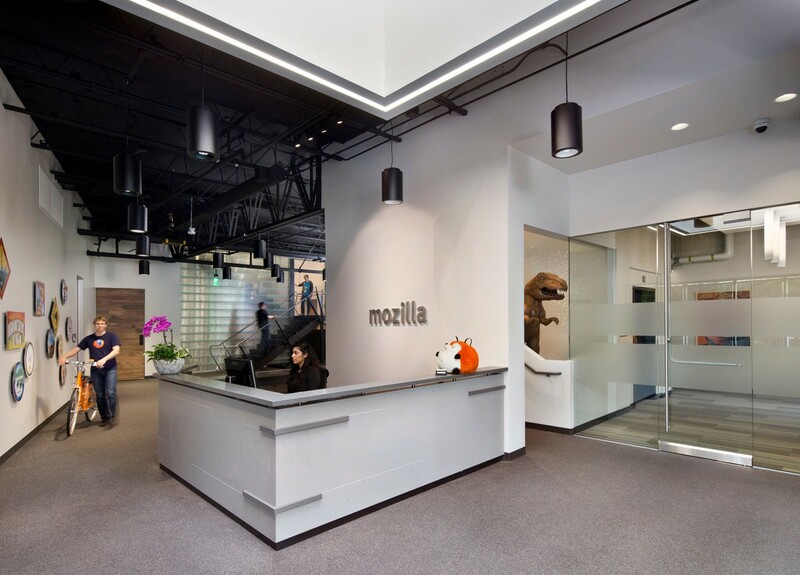 In the past, interns were invited to attend All-Hands, the Mozilla company work week, which happens twice every year in various parts of the world. I’m super excited about Outreachy. All in all, I’m super excited to be working with Mozilla on the web-ext project. It’s a really exciting time to be working on tooling for WebExtensions as they’re going to be the future going forward. Last but not the least, a huge shout out to everyone who helps in making Outreachy a reality: Larissa Shapiro and Elizabeth Noonan at Mozilla, and Marina, Sarah Sharp, and other Outreachy admins as well.